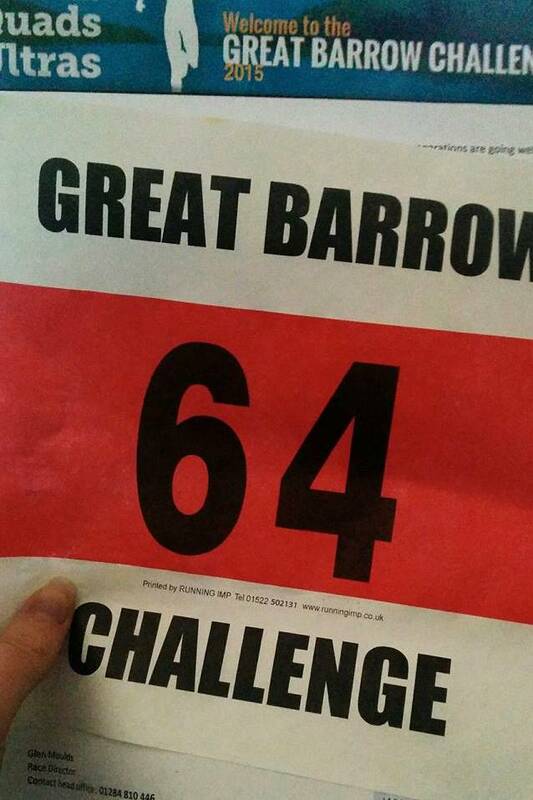 This weekend, I took part in the Great Barrow Challenge in Suffolk. It's a running festival, with people taking on half marathons, marathons, ultras, and combinations of the three, over a 10 day period. 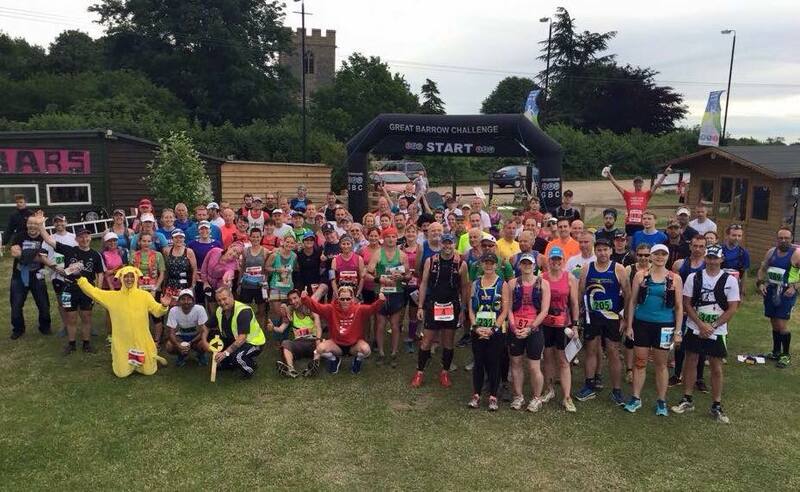 The most extreme option is running 10 x 50km ultras in 10 days! 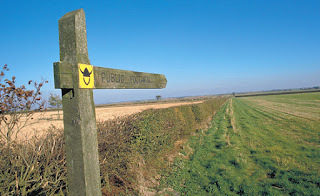 Each day's course is different to the last, but generally a mix of hilly trail and road, and you follow route instructions and signs to find your way. It's epic but very low key, and you can stay on site if you like, either in dorm rooms or camping. There's beer on tap, an ice bath paddling pool, and massages for not much money. It's my first time, but I think I'll be back! 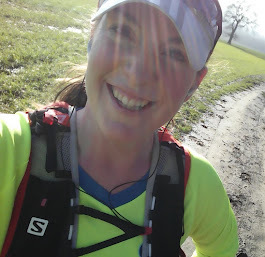 ﻿I had signed up to do the quad - four marathons in four days - and although that sounds a bit epic in itself, with my 10in10 and recent ultra experience behind me, I was confident it wouldn't be an issue and wasn't really thinking about it too much. I'd had a high mileage weekend of 40 miles running along the Saffron Trail just a few days before the event started, and so it's fair to say it wasn't any sort of key race for me, and I was really doing it to see what all the fuss was about (lots of people talk about how good the GBC is) and to up my numbers for my 24 in 12 challenge. I wasn't staying over either, choosing instead to drive back home every evening to minimise the impact on home life. I didn't help myself. 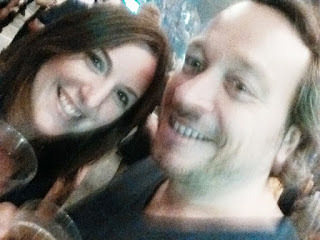 I had a really busy day at work on Wednesday, and must have clocked up lots of miles on my feet walking around the campus, and then night before Day One, I was at a ZZ Top gig in Wembley with Francis! We had snacks for dinner, I had a couple of ciders, and although it was awesome, and I enjoyed it immensely, it also meant that I had a night on my feet and only a few hours sleep before the alarm went off at 4:30am the next day and I was getting ready for the first marathon. I arrived early and the place was very quiet but got myself registered and ready. I was hoping for runs of under 5 hours each day (in the end, I don't think I managed a sub 5 once!) but through force of habit was still wearing my S-Lab race vest to carry water and "stuff". I knew a few other people who were running (some friends were taking on the ten marathons in ten days) and it was all very social at the start, as we chatted away. Soon though we were running. I quickly realised that this was going to be much harder than expected! It was very hot and sunny, and I struggled a bit with the directions (going marginally wrong in the first few miles, to be repeated later on, as I got lost). I felt incredibly tired, unfit and with the temperatures not helping matters, was nauseous and ended up walking much more than I had wanted to. The aid stations were less well stocked than I've been used to (I think I have been spoiled) and I was frequently frustrated with the limited food and drink available - both in quantity and variety! Everyone was very friendly though, and there was a really positive vibe that permeated every aspect of the GBC. The courses were all pretty enough too, but I found myself just looking at my feet most of the time, trying to grind out the finish! In the end, of course, I got there. Awarded my medal, I jumped straight in the car and headed off for the hour and a half drive back home. After day 3, trying to get Chewie to pose! It was the same the next day. Up stupidly early, very hot and sunny, limited checkpoints, really struggled, felt sick and ate very little. But this time, I was even slower and walked even more, feeling very disappointed with how I was getting on and wishing that I had prepared a bit more seriously for running 106 miles in four days! Day 4 dawned...and I overslept, massively. Subconsciously I think I'd decided I wasn't going to run, especially as my stomach issues had continued all evening and I'd not been able to eat much with my appetite having totally disappeared. I must have switched off the alarm without properly waking up. I suddenly came to at 6:30am...half an hour after I should have left. Bearing in mind it had been taking me an hour and a half to drive to the race, which started at 8am, this was not good news! I had a much better run on the fourth day - it was cooler, and it rained for a while, which was such a welcome relief! I also spent much more of the day running with other people, which made a massive difference, and although I didn't have any water with me, the aid stations were close enough together (every four or five miles I think) that I was fine to get through. My nausea was still there, and the cramping in my stomach was getting worse...sometimes I found myself doubled over with the pain...but it was occasional, and I knew I could keep going. Most of the route was on road, and that made it easier, and there were lots of signs out on the course which made finding our way more straightforward, with only a few sections were we had to rely on guesswork! Eventually, I finished, and had run my fastest marathon of the quad, although only by a few minutes. Over the four days, I was much slower than I had hoped for when I was going into the event, but they're tough courses, with lots of hills, a fair amount of trail, and to be honest, I probably ran the times I deserved - tired legs going into the event, no preparation, and, as it turns out, I was unwell. I went to the doctor yesterday about the stomach cramps - I either have gallstones, a stomach ulcer, or something unknown. I'm being booked in for an ultrasound and blood tests and given various drugs. We will have to wait and see what the outcome is. But, thankfully, I made it through my 4 marathons in 4 days. I'm very pleased that my legs felt fine throughout, with no DOMS to worry about, and I didn't pick up any injury despite not using the massage or ice bath facilities. I also got some great medals, a lovely trophy, and some ridiculous tan lines as a result, and I've made and cemented some friendships which is probably the most important and valued outcome of all. 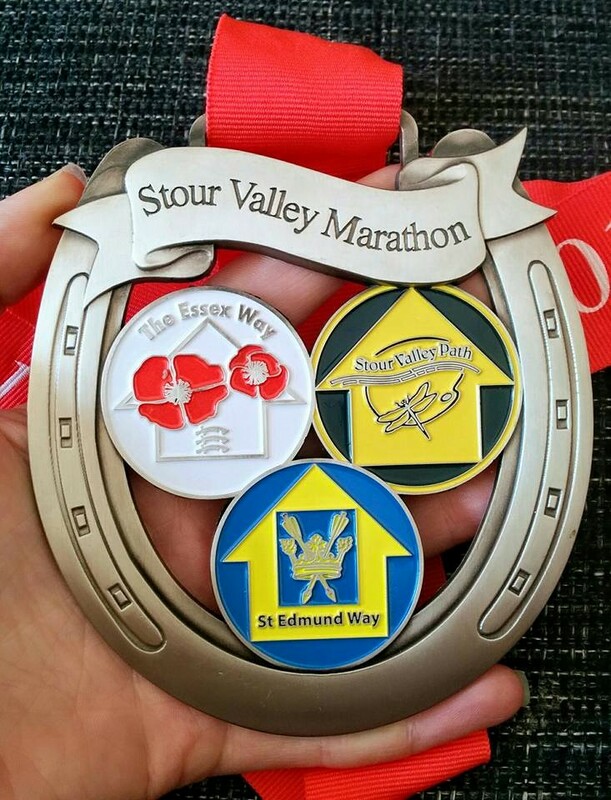 Yesterday I ran the Stour Valley Marathon, a race that I have been looking forward to all year since defering my 2014 entry. 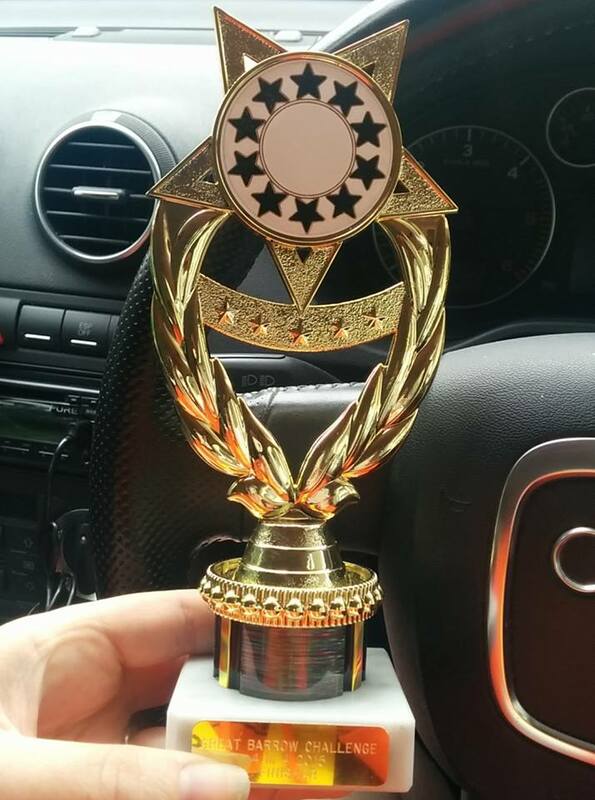 It rounded off a 46 mile week, my first of the Juneathon challenge. 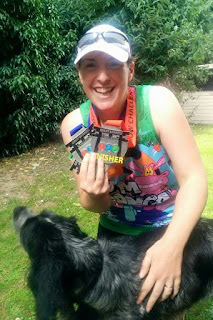 The race didn't disappoint - it was an absolutely beautiful (hilly) course, and I enjoyed the challenge and adventure of it being self-navigation. It was a bit hot for me, and I found myself struggling with heavy legs - as it turns out I'm really not yet recovered from GUCR. In hindsight, I think two weeks was too soon for my first race. I was shattered last night, fell asleep very early, and today I feel wiped out - I haven't been so weary after a marathon for years. 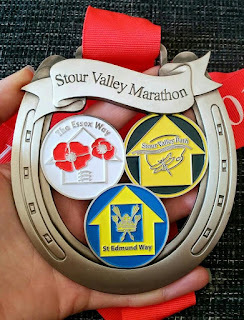 It was also my second slowest marathon ever, but I'm still so glad I did it - a wonderful day out in the countryside, and look at my amazing medal! 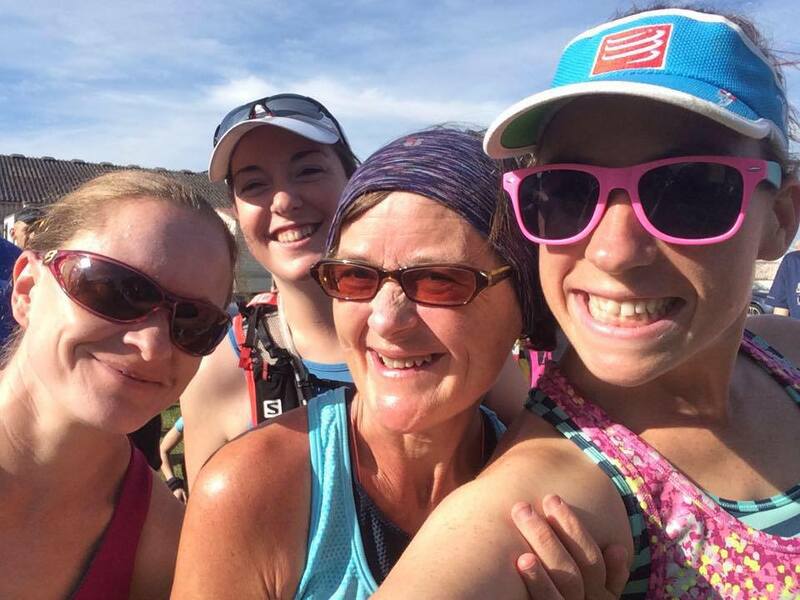 However, I've decided to withdraw from next week's race, my paired attempt at Endure 24 with my friend Emma. I feel awful for letting her down, but I have to be sensible - I have too many niggles that are on the verge of developing into something more serious, and I'm just too tired. I need more of a rest before I start running long again. I'll keep my training runs short over the next few weeks, and give my body a proper chance to recuperate. Now I've stopped carrying my GUCR medal around with me and I've had a whole week off running to recover, today I start the next phase in my training, with a new focus on trying to cut down my weight, a commitment to take part in Juneathon (running every day in June) to get me back to some level of consistency, and a whole host of races to get ready for over the next few months. But it's not just about the training...I need to set myself some new goals. 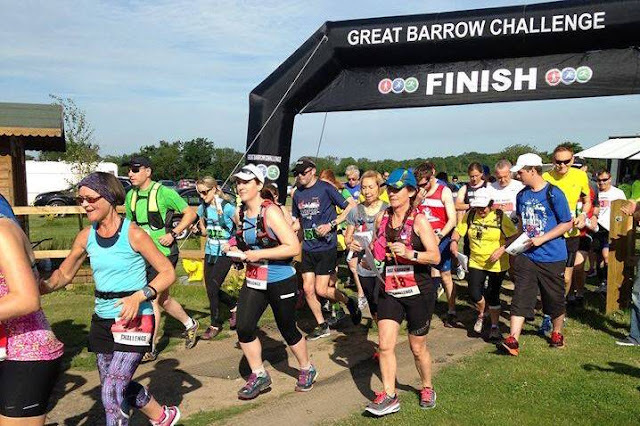 As soon as I crossed the line at GUCR I knew that I wanted to have another go, but to be in a position to run it really well - to be fitter and better prepared, taking the lessons I had learnt from this year's race. 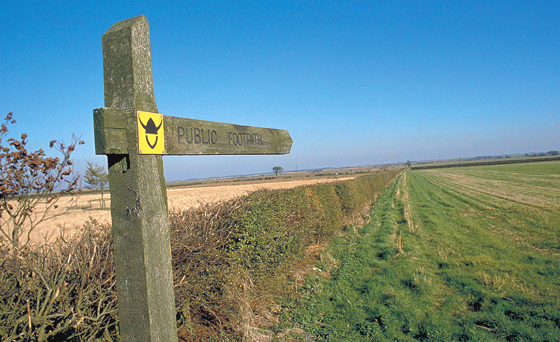 However, I've decided that I want to try some more long events, and so as well as going into the ballot for GUCR when it opens later in the year, and probably entering TP100 again, and possibly the South Downs Way 100, I have decided to step it up. I'm going to apply for a place in one of Mark Cockbain's infamous events, the Viking Way Ultra. 147 miles, non-stop, self navigation. From the Humber Bridge in North Lincolnshire to Oakham in Rutland. 40 hour cut off, with additional cut offs at 50 and 100 miles. Checkpoints with basic provisions are every 15 - 20 miles. No crews or pacers are allowed. But you know what? I really think this is something I can do. It feels ridiculous and strange to believe in myself so much, but that is the gift that GUCR has given me. Now, I just have to see if Mark will accept my application. He has to decide if I'm experienced enough to give the race a go... Fingers crossed.